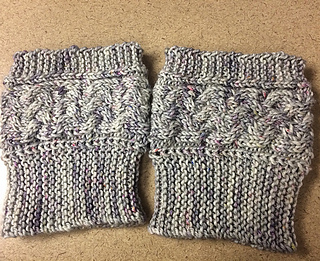 Chilly weather calls for bulky sweaters, lattes, your favorite pair of boots, and these cabled boot cuffs. Once you make one pair, you’ll want to make more! 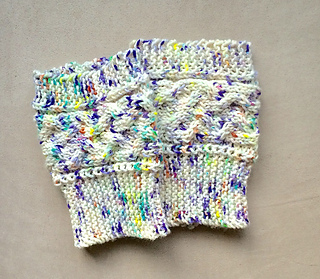 Using a speckled yarn isn’t necessary; you can use a semisold yarn if you wish.